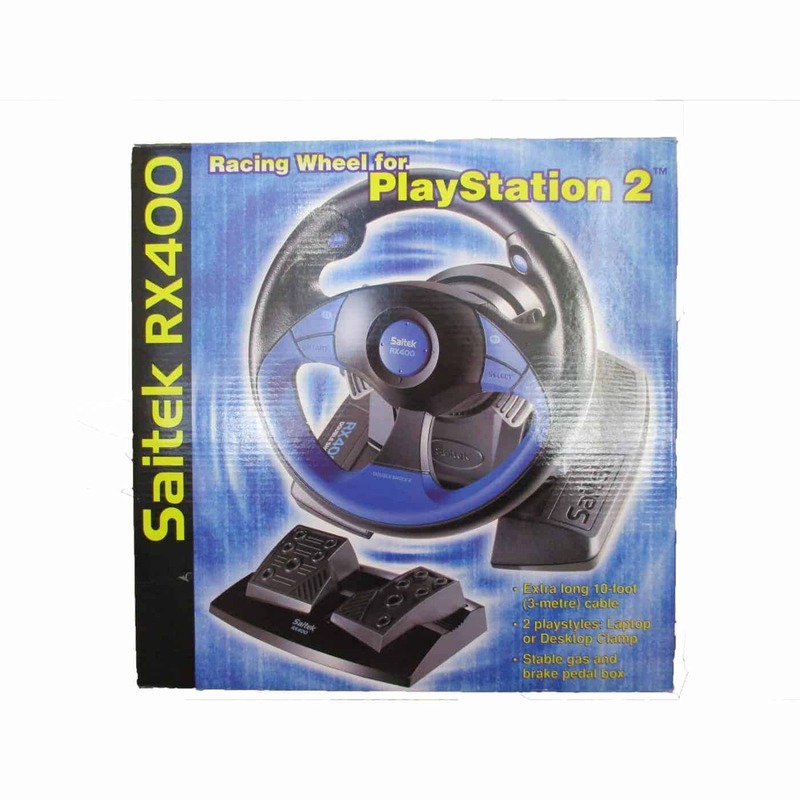 Racing Wheel for PS2 RX400 Saitek. 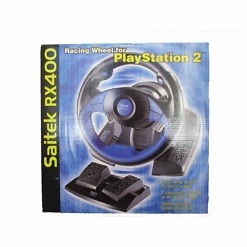 Exciting PS2 – style Racing Wheel adds driving realism to all your favorite PlayStation 2 / PlayStation / PSone games! The ultimate in racing excitement! 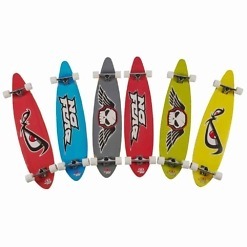 Equipped with 6 wheel – mounted buttons, centralized D – Pad, and Formula – 1 style shifters! 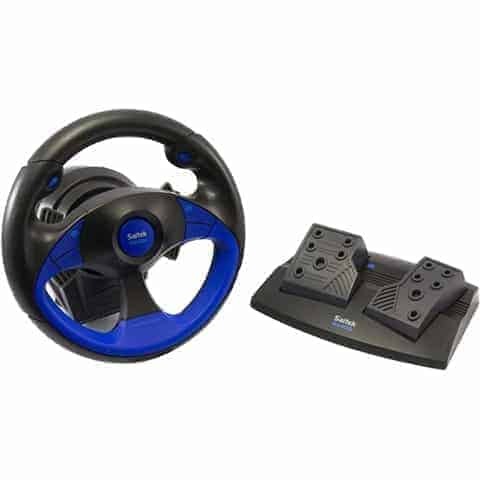 Includes sturdy, well – designed gas and brake pedals for the most true – to – life driving experience! Offers all the gaming configurations you could want, including Digital, Dual Shock and NegCon! Experience this amazing rumble technology – you’ll feel like you’re actually out on the road! Want the greatest gaming freedom and flexibility ever? 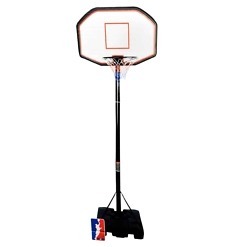 Our extralong 10 – foot cable will do the trick! 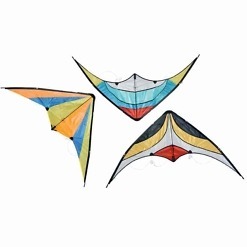 Attaches securely to your desktop, or use the add – on piece for convenient laptop play – it’s your call! So easy to connect and set up, so much fun to use – and compatible with PlayStation 2, PlayStation and PSone!